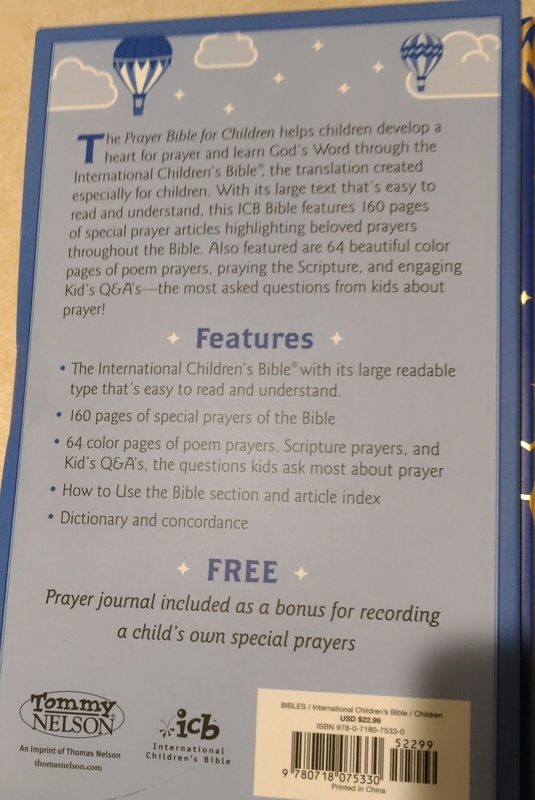 This is a new Bible in the International Children’s Bible translation that will open-up prayer to kids and all readers. 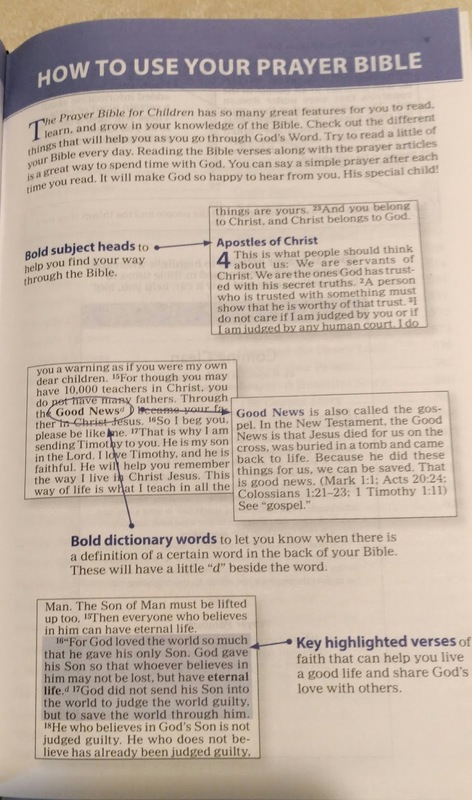 The Bible intro pages start with a letter with the salutation, Dear precious child, stating that God loves them and includes a short description of the Bible. The letter is done in a personal way and is a definite plus. The Bible includes 160 special prayers of the Bible, where and when the prayer has been used in Bible times to help and how it can be used now for help. The Bible includes a dictionary and concordance for those study times. The words included in the dictionary are printed in bold type. 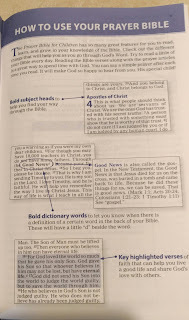 A description of how to use the Bible is included, making it very easy to learn the features and how they can be used. Some of the features used on each page are bold subject headings, highlighted key verses and footnotes. 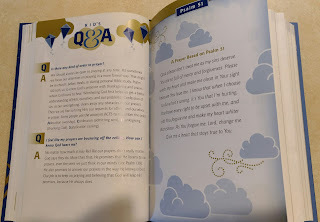 Also included are question and answers to help the reader to understand prayer. At the back of the Bible is pages for the reader to note prayer requests or other notes they may want to remember. A list is included of God’s promises along with a list of Bible verses for memorization, not just a list of addresses, but the verses themselves. A separate bonus of a prayer journal is included with the Bible. I think this Bible would be a great help for kids and anyone new to the Bible. The translation is very easy to understand, and the helpful features are not over whelming as some study Bibles can be. The explanation of the prayers of the Bible are great and are a definite help to understand how helpful prayer is and why we need to pray.